Puppy room is the new point and click escape games from ajazgames. Your friend left her dog inside the room and went out, you hear the dog barking loud , try to help the dog out, find the key, try solving the clues and puzzles to get the knob. All the best, wish you Good luck, have fun playing new online escape games from ajazgames. 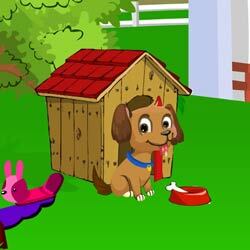 To watch how to play “Puppy Room escape Game Walkthrough” Click the below video.